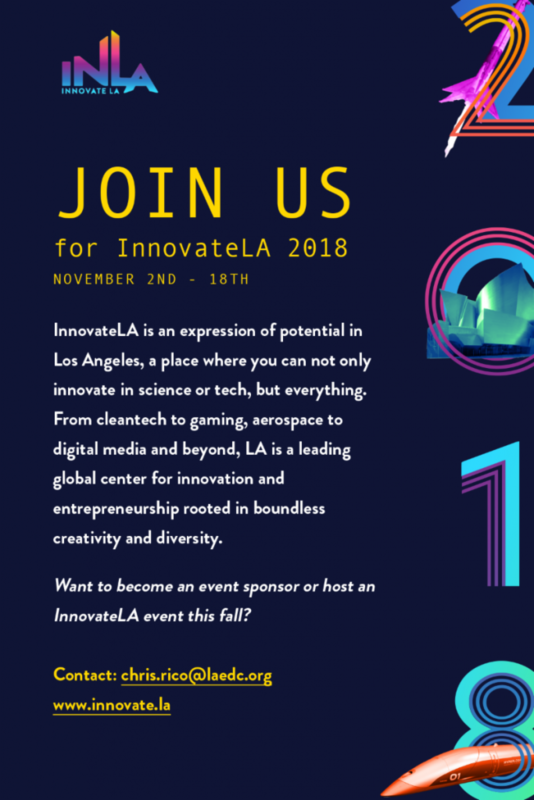 New events are being added to the InnovateLA calendar for Nov 2-18, and your organization can participate and gain benefits aligned with your goals. Soon, the Innovate.LA website will flip from the current archive of over one hundred 2017 events to a new lineup of exciting 2018 events. This is the time to look for opportunities to showcase the innovation, R&D, new technologies and other assets from your organization that are contributing to the fabric of innovation in Los Angeles County. InnovateLA also offers sponsors the opportunity to be showcased at a wide range of the events via significant marketing campaigns, creating a platform to highlight commitment to, and leadership in innovation. InnovateLA is a two week, countywide celebration of the breadth of innovation and creativity within the Los Angeles region. From cleantech to gaming, aerospace to digital media and beyond, LA is a leading global center for innovation and entrepreneurship, and InnovateLA showcases and celebrates that with a series of events and dialogs, hosted by businesses, colleges, coworking spaces, incubators, coding studios, and cultural centers. Events can include hackathons, tours of facilities, talks on issues important to our shared economic and social future, events about urban innovation, networking mixers, entrepreneurial origin stories, grand challenges, and much more. InnovateLA also serves as a branding umbrella for many civic organizations, universities, and businesses that come together to highlight ingenuity. 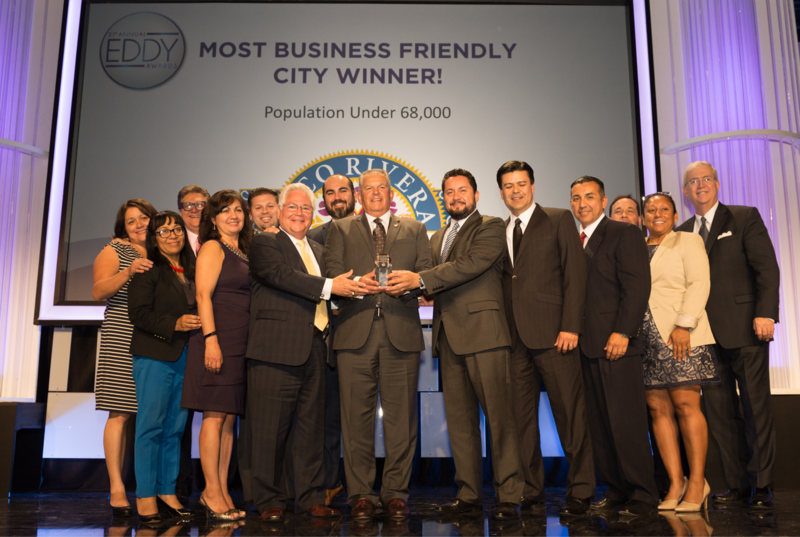 It provides a well-publicized platform to showcase cutting-edge innovations, new technologies, processes, products and services that add diversity and value to LA’s economy and set the stage for more well-paying jobs.